This is my mush baby, Allie. 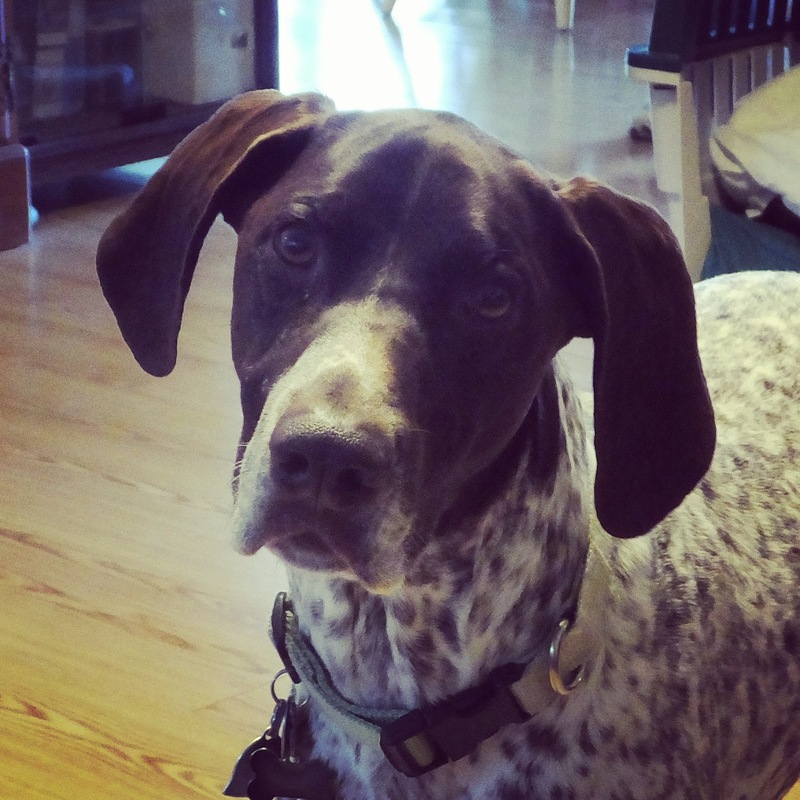 Actually, she's my parent's german short-hair pointer, but really, she's my mush when I'm there. There's been a lot of research coming out lately about how animals can help your health and lower your stress. I can honestly say, Allie helps a lot. She's not the first dog my family has had, but she is probably the most affectionate. She thinks she's a lap dog, and no one wants to be the one to tell her otherwise. When my husband first came down with me to visit and sat next to me on the loveseat, she climbed up between us and tried to push him off. Now, she loves him as much as she loves me. Someday, hubby and I will have a dog of our own, but Allie and every other dog that's ever been in my family will always have a special place in my heart. I hope we have many more years with her.